Today I am 29 weeks and 6 days pregnant. Baby is: the size of a small cabbage! He is still very active which is reassuring, and I’m finding that watching my bump move is at least as entertaining as watching the television in the evening. I am: still not sleeping much. I’ve been using the sleeping pills a bit, but I don’t want to take them every night. They work to some extent, but they can’t stop me being woken up by children in small hours, so short of moving out for a while I’m not sure what I can do about it! I’m a bit stressed, but also feeling very blessed by my lovely family, including the smallest one who is making his presence felt with all the kicking and wriggling. I’m really getting impatient to meet him now. 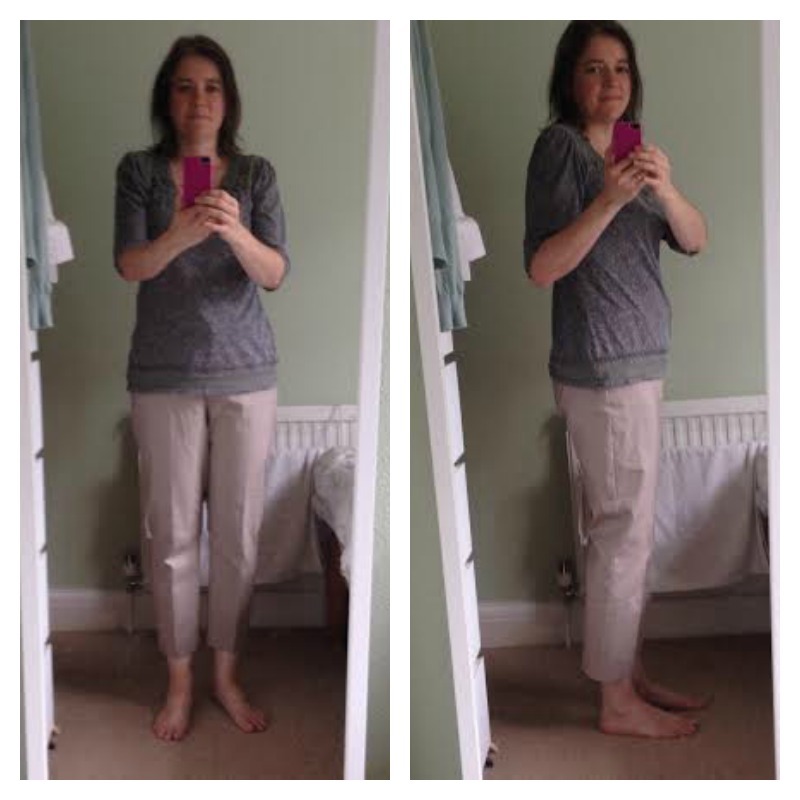 This entry was posted in Pregnancy and tagged pregnancy on October 23, 2014 by Hannah. Today, I am 23 weeks and one day pregnant. I’m more behind with this diary than usual, having missed two weeks, but I did take photos each week. Baby is: about the size of a large banana! His brain is developing rapidly and constantly producing lots of new brain cells. I know this is a cliche but it definitely feels as if I am losing mine at the same rate. I am definitely suffering from baby brain, and really struggling to concentrate now. I am: fine (apart from the baby brain) though I have several annoying symptoms – dizziness (still), leg cramps and quite severe lower back pain which is making everything more difficult. As a result I am feeling frustrated about not getting much done. Baby is: the size of a papaya. I am: finding it increasingly difficult to do anything at all because of the back pain. Trying not to let it get me down but not entirely succeeding. Baby is: the size of a grapefruit. I am: hanging in there. Mainly just tired and grumpy because of the pain, but occasionally snapping out of it and remembering how incredibly lucky I am. And feeling very thankful for my lovely husband. As I am writing this, at 10pm on a Saturday evening, he is cleaning the dining room floor – he knows the way to my heart! 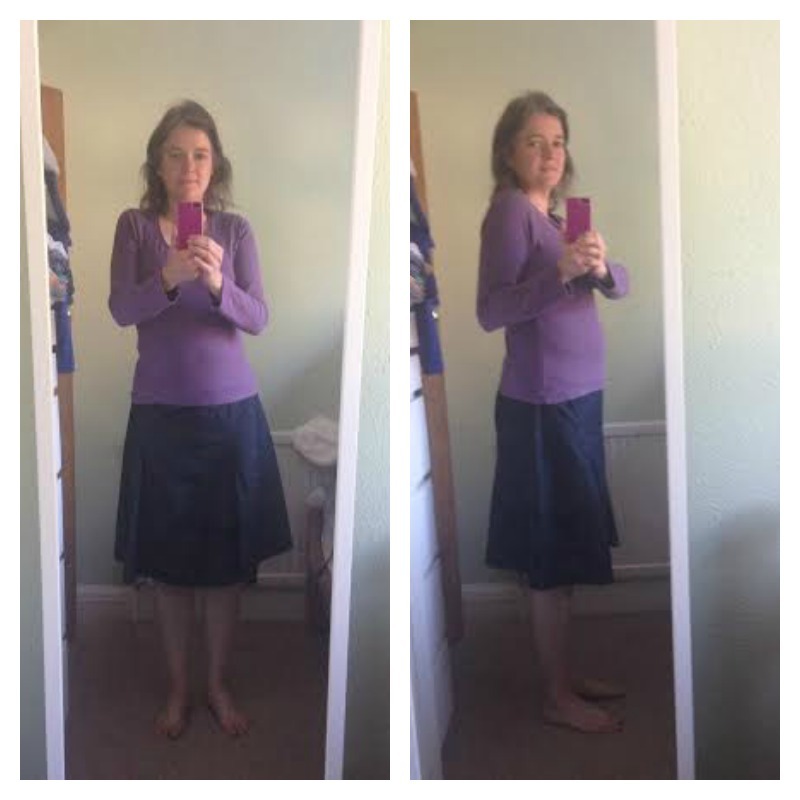 This entry was posted in Me, Pregnancy and tagged pregnancy on September 6, 2014 by Hannah. Today I am 20 weeks and 6 days pregnant. I had my scan yesterday which was lovely. Everything is fine and the baby is a boy. It suddenly seems more real now. Baby is: the size of a mango. He is moving around a lot and the kicks are getting stronger. I am: still struggling with insomnia, and the dizziness is worse when I haven’t slept. Being half way through the pregnancy feels good though and I’m letting myself get a little bit excited about meeting the boy. 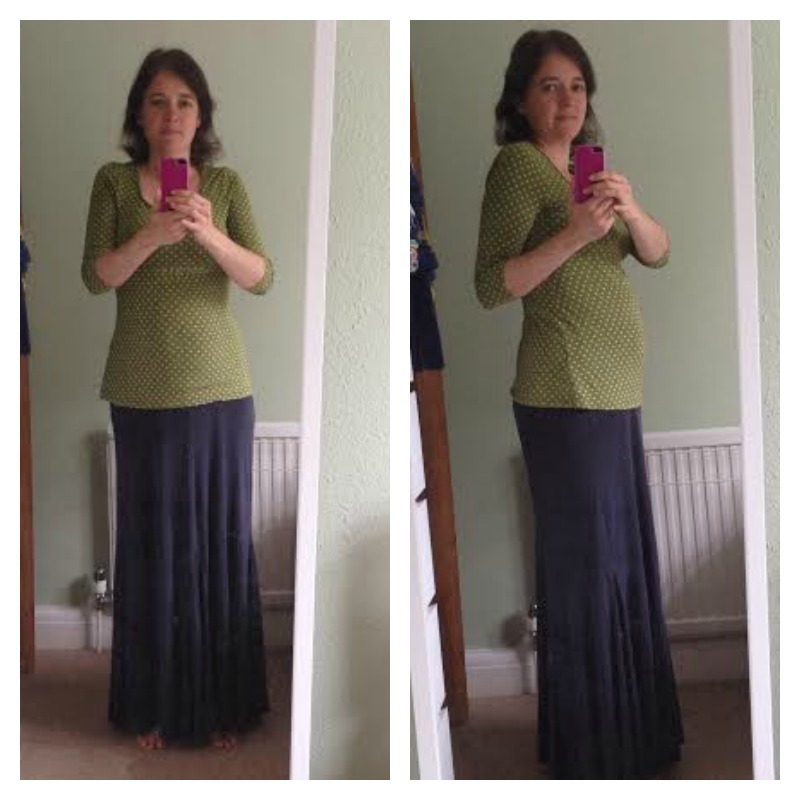 This entry was posted in Pregnancy and tagged pregnancy on August 21, 2014 by Hannah. 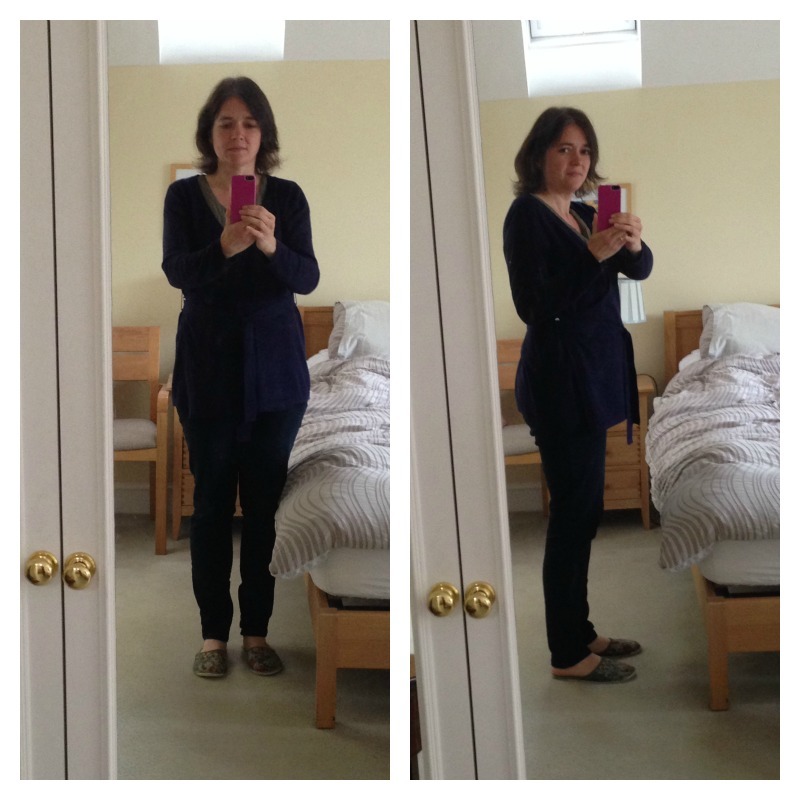 Today I am 19 weeks and 6 days pregnant, and behind schedule with this post again. The photos were taken last Saturday before a garden party. 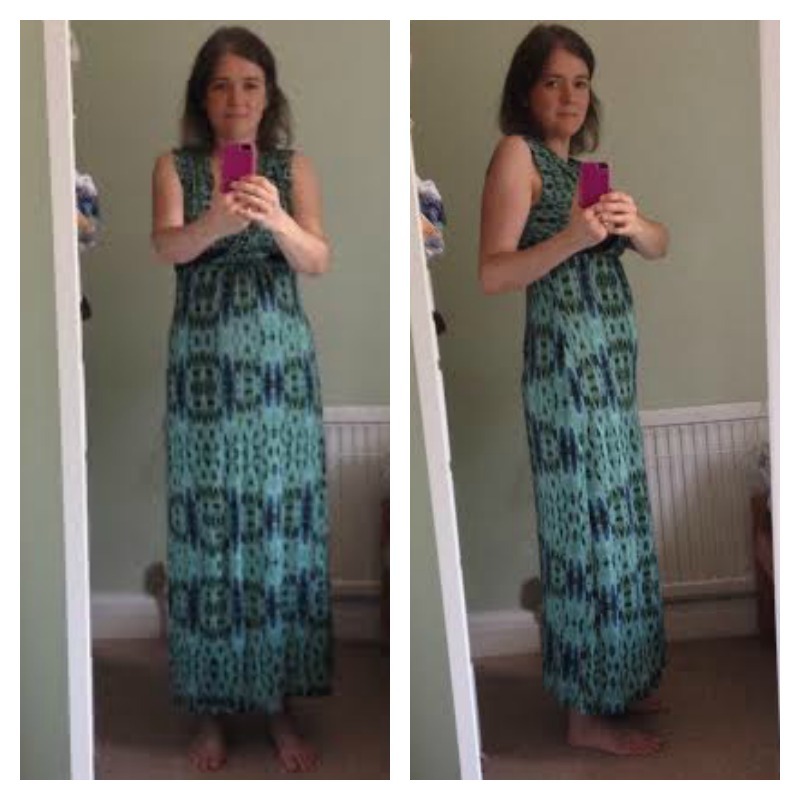 I was quite pleased to be able to fit into my size 10 East dress (last year’s eBay bargain) at 19 weeks pregnant – I wasn’t sure that I was going to get much wear out of it this summer. Baby is: the size of a mango. All the senses are developing now, and baby recognises my voice. I am: feeling a bit rubbish. 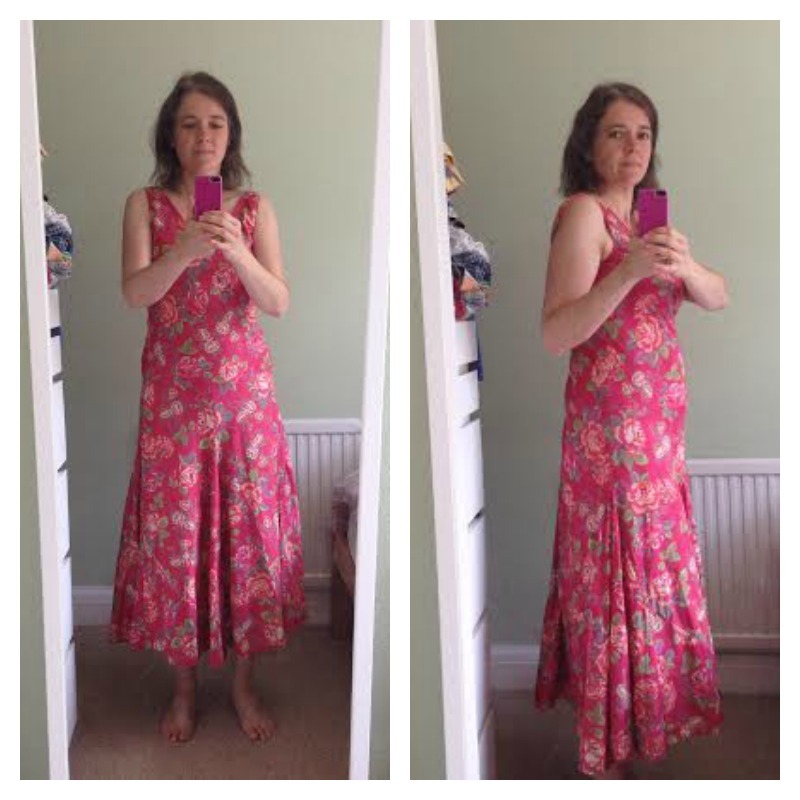 It’s been a bad week, apart from the high spot of fitting into the dress. Oh and I managed to make a rather good coffee cake for Paul’s birthday yesterday. Other than that, I think I will draw a veil over it and hope that next week will be better. 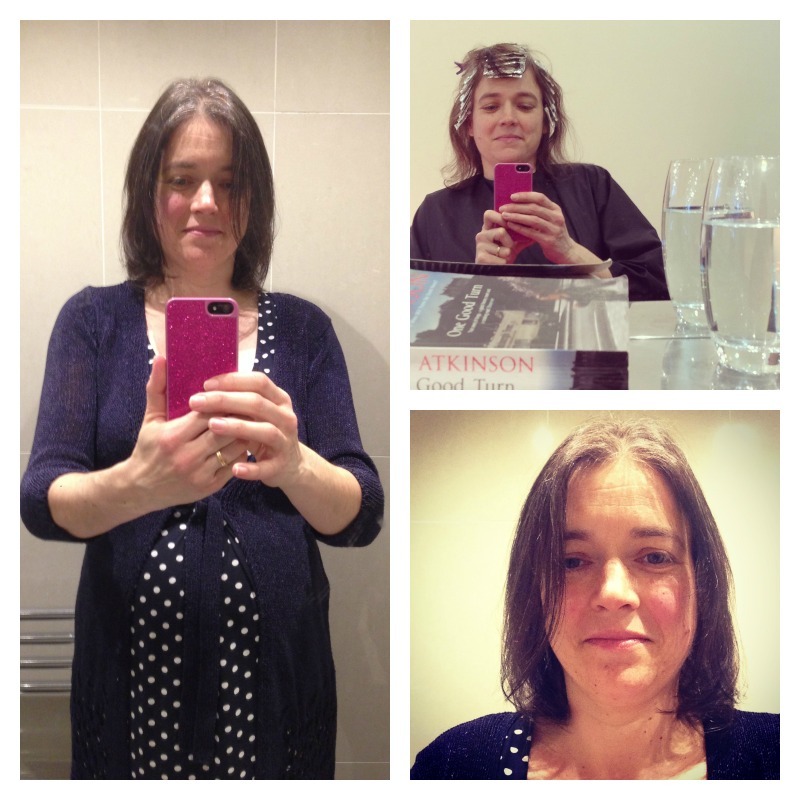 This entry was posted in Pregnancy and tagged pregnancy on August 14, 2014 by Hannah. 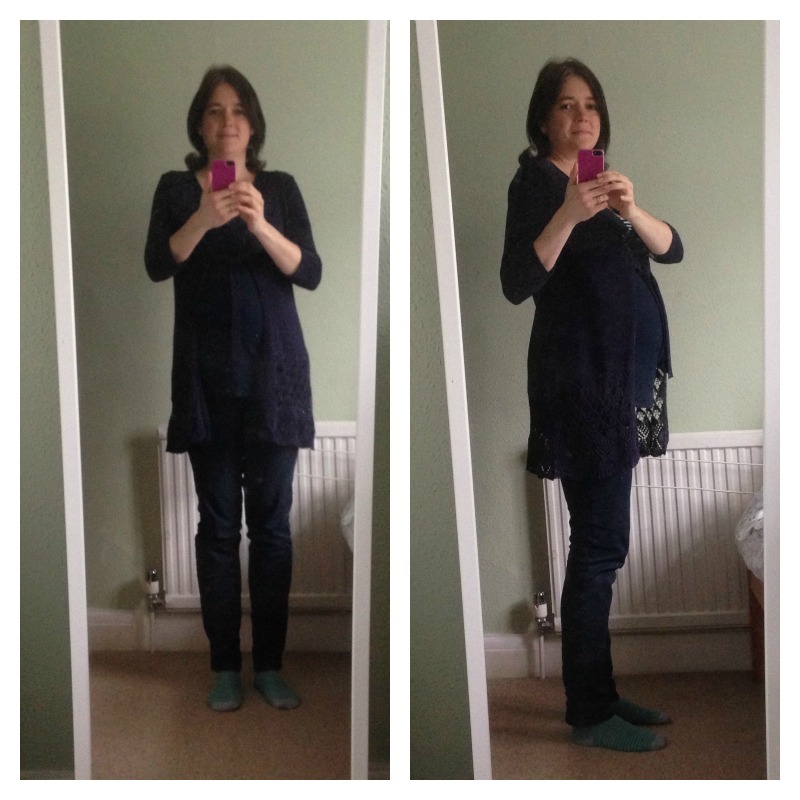 It’s been a very busy week and I’ve suddenly realised that I’m 18 weeks and 6 days pregnant, so I’d better try and get this post published tonight. Baby is: the size of a sweet potato – these vegetable comparisons are getting weirder I think! I’m feeling lots of strong kicks now and seeing some of the movements too which is bizarre and quite compelling to watch. I am: struggling with insomnia again – it’s now been over a week since I had a proper sleep and it’s just so hard to get anything done. I’m also being bothered a bit by leg cramps, but otherwise physically everything is fine. I started pregnancy yoga last Friday and I’m looking forward to my next class tomorrow. It’s complicated to make the time to go to it, and sometimes feels stressful to make it happen, but I know it will be worth it. 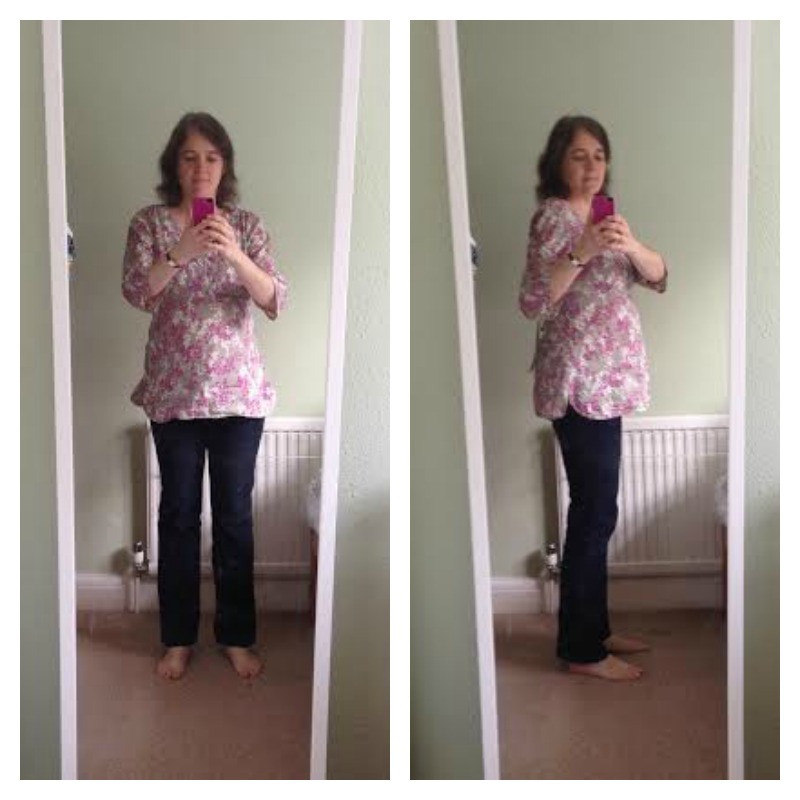 This entry was posted in Pregnancy and tagged pregnancy on August 7, 2014 by Hannah. Today I am 17 weeks and one day pregnant. Baby is: the size of a turnip. Long pause here while I wonder if that’s a Scottish turnip or an English one. And google it. Not sure I found the answer, but at least on the way round the internet I was reminded of this useful Scots word – must use it in conversation more. Anyway I digress… Baby is very active so I can feel the movements much more clearly, and even see my tummy moving quite often. I am: still very tired, and not liking the heat – I think it is the reason I’m feeling more dizzy and faint again. I’m starting to enjoy being pregnant though. I love feeling (and seeing!) the baby move and it’s beginning to seem a bit more real. I am getting a bit fed up about people making rude remarks about us having five children, but some people are lovely about it, and actually the “I wish I could have had more” comments are almost as frequent as the negative ones. I spoke to a lady today who has two children, but wanted to have four or five. She lost a baby when she was 40 and decided she couldn’t go through it again. It’ s one of those brief conversations that really touched me and I will probably never forget it. So today, despite all the minor reasons I am a bit stressed, most of all I am feeling very lucky. 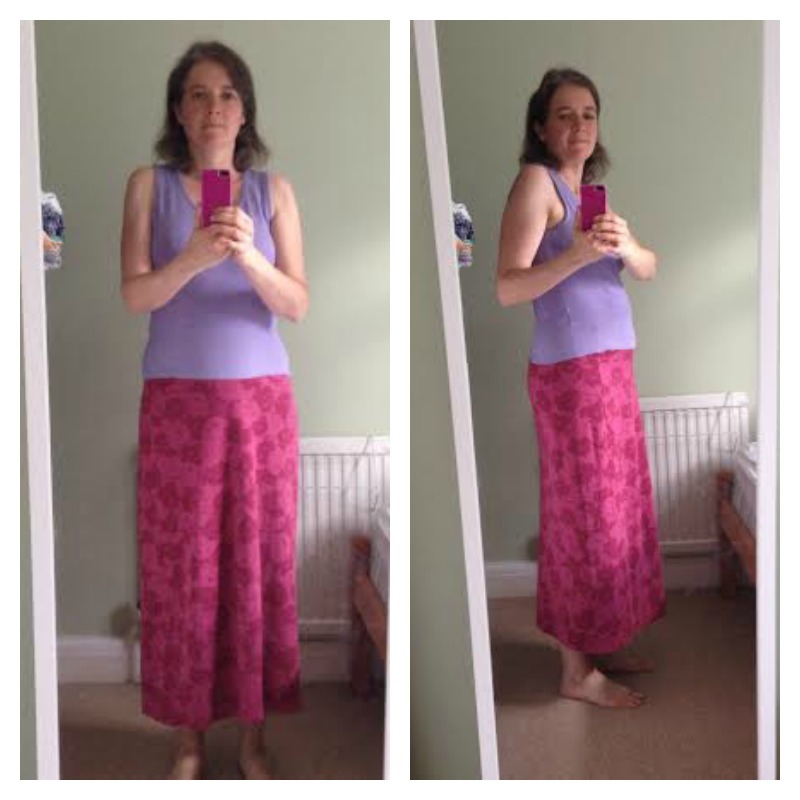 This entry was posted in Pregnancy and tagged pregnancy on July 26, 2014 by Hannah. I am 16 weeks and one day pregnant. I was really trying to get back on track and planned to write this post last night, but it was such a busy day. By the time I took the photos it was late at night, in electric light, and I looked terrible. So I deleted the photos, and took some more today which I think are slightly better (though rather blurry – I was in a hurry!) , and were at least taken in daylight. Baby is: the size of an avocado, and can now probably hear. I should mention this to Paul, as he will want to start introducing the baby to a wide selection of classical and choral works as soon as possible. Not sure I’m ready to unleash that just yet. I might get Tiddler to sing “Twinkle Twinkle Little Star” to my tummy though! I am: completely exhausted but generally feeling a bit better than I have been. That’s about as positive as I can be at quarter to midnight. Hoping for a good night’s sleep, but it might be difficult in this heat. 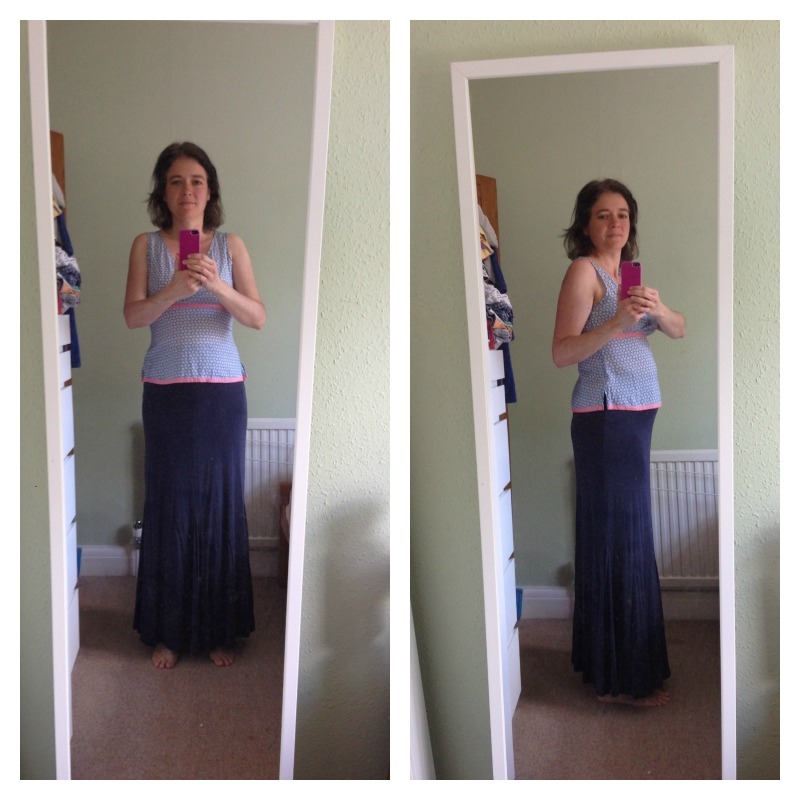 This entry was posted in Pregnancy and tagged pregnancy on July 19, 2014 by Hannah. I am 15 weeks and one day pregnant today. I am probably too tired to be coherent, but I’m determined to get this post up tonight! Baby is: the size of an orange, and can now control his/her own movements. I’m still feeling them when I remember to pay attention and I’m trying to do that as much as I can, though I’ve been so busy it’s hard to do, but at night I can feel it and it’s nice. I am: very tired – I know I have said that every week, but it’s still the only thing I can think of to say when people ask me how I am. Really all I want to do is sleep, and if I ever lie down in the daytime I can fall asleep easily. Not so much at night, unfortunately. I have now seen the diabetic nurse, and got my blood testing kit, because I had gestational diabetes in my last pregnancy. So far my levels have been fine, but the testing is a real nuisance and quite unpleasant. It’s also quite difficult being organised with snacks when I am out, and I’m feeling a bit more sick again because I’m trying to eat fewer carbs and fruit which are often the things I am craving to deal with the sickness. It’s a very tricky balance, but I’m going to try really hard to manage the diabetes with my diet as I did last time. I really don’t want to have to take the medication which may make it less likely that I will be able to have a natural birth. I know it’s early to be worrying about that but I can’t help it. I have had lovely natural births with my last two babies, and felt completely normal straight afterwards instead of feeling like I’ve been in a car crash. I can only hope I will be so lucky again. 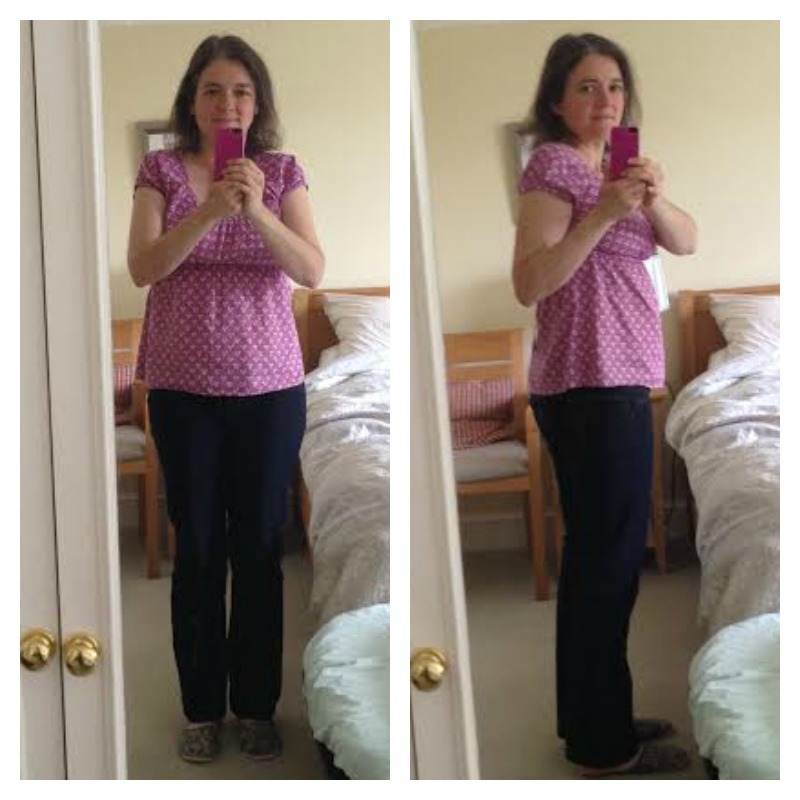 This entry was posted in Pregnancy and tagged gestational diabetes, pregnancy on July 12, 2014 by Hannah.